Whitaker originally said he wouldn't appear before the committee without a guarantee that he won't be subpoenaed. 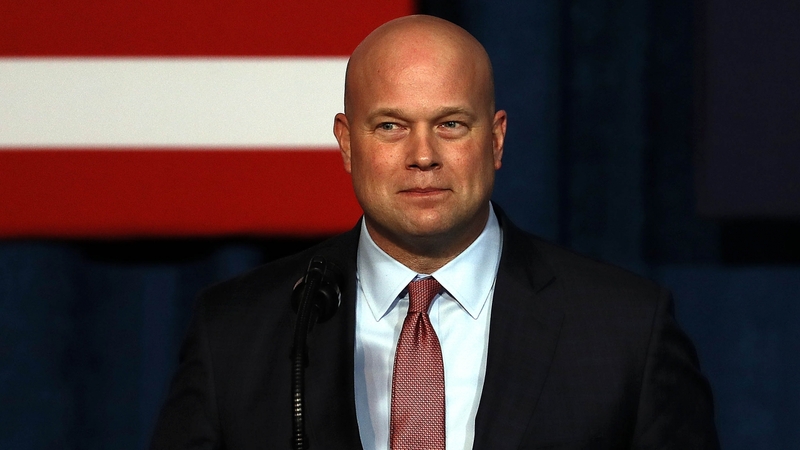 In an often contentious hearing, Acting Attorney General Matthew Whitaker spent hours testifying before the House Judiciary Committee on Friday. "I don't know if you're time's been restored or not," Whitaker said. "Mr attorney general, we're not joking here and your humor is not acceptable," Rep. Jackson-Lee said. The hearing was part of the committee's normal oversight of the Justice Department. But with the ongoing special counsel's investigation, the line of questioning was expectedly partisan. Democrats' main concerns revolved around whether Whitaker has been impartial in his supervision of Robert Mueller's investigation. House Judiciary Chairman Jerry Nadler said in his opening statement, "Why did President Trump choose to replace Attorney General Sessions with an outspoken critic of the special council instead of with any number of qualified individuals who had already received Senate confirmation?" Beyond Mueller's investigation, Democrats pressed Whitaker on transgender people serving in the military, his relationship with President Trump, and family separations at the border. "So these parents were in your custody. Your attorneys are prosecuting them. And your department was not tracking parents who were separated from their children. Do you know what kind of damage has been done to children and families across this country? Children who will never get to see their parents again, do you understand the magnitude of that?" Rep. Jayapal asked. "I understand that the policy of zero tolerance..." Whitaker answered. Republicans said the whole thing was "theatrics." "You know, I have to say that I'm very disappointed in this hearing. You know, I ran for Congress to get things done, and at the beginning of this, you know, we were told that this is about asking about DOJ oversight and some legitimate questions," Rep. Debbie Lesko said. "And here were are, it's nothing but character assassination, harassment of our witness, and it's really disappointing." Before Whitaker appeared Thursday, there was a lot of back and forth between the Justice Department and the committee. Originally, Whitaker said he wouldn't appear without a guarantee he won't be subpoenaed. According to Ranking Republican Doug Collins, House Judiciary Chairman Jerry Nadler sent Whitaker a letter saying there would be no subpoena that day, and "any differences we have we will work on later." In Nadler's opening statement Friday he said there is no need to resort to a subpoena "for now." Collins expressed that since a subpoena is still on the table, the hearing should be adjourned, but the hearing proceeded after roll call vote.